Indicating race, religion, political affiliations, and sexual orientation in a resume can often be touchy. The best way to do it is inadvertently. Place the information in the resume in a subtle way. Only mention them if they are directly related to your previous work experience and if doing so will be an asset to your present job search. In a resume, there is no room for unnecessary information. Pay attention to the time factor; if only a few months were spent working on a project that would reveal race, religion, political affiliations, etc., it won't be necessary to include on the resume. Make sure that you don't have too much emphasis on your personal hobbies in your resume. This can easily backfire as the employer may think you can't separate personal and professional life. They may see that you will need frequent or excessive time off. Be cautious in all things that you include on your resume. Be completely honest on all parts of your resume. Many people recently have lied to grab an employer's attention. This may work for them at first, but it usually backfires during the interview. Employers may even set this as a trap to see whether or not you will be honest. It can be a very embarrassing moment when the interview is taking place. There are certain things that you can or cannot stretch the truth on. You should never fill in gaps of time to make it look as if you were not unemployed. However, it is okay to leave previous jobs off of your resume. It is your resume and you can put what you want on it. Be sure that what you put on it is honest. One of the worst things to do is Resume Theft. This is when someone takes all of the information from someone else's resume to make theirs look better. This is not only unethical, but can be very damaging for future job opportunities. 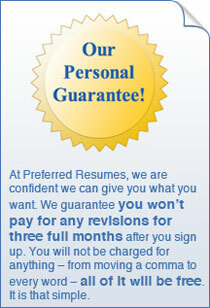 Remember that the resume and cover letter are only stepping stones to employment and don't guarantee a job. Be honest in sincere in all that you put on your resume. When listing work history, always put the most recent job first. Likewise, put more information about your most recent job than older jobs. This will show your employer that you are moving up and want to continue to do more. If you dedicate the same amount of space for each job, it will appear that you are not moving up, but staying in the same spot. The only time that this wouldn't apply is when your recent job was temporary or short lived. In this case write more about previous jobs and your work experience. It is also nice to show all jobs in one company grouped together. Then list advancements within the company. This will show that you are able to stay with one company for a reasonable time period and that your work is valued within that company. Always remember that you never get a second chance at a first impression. Stay on Top of the Job Search Process! Whether you're a new graduate or you've been in the workforce for decades, it's never too late to start putting some serious work into your self-marketing materials. The problem many experienced job seekers run into when trying to write a resume is that their heads spin when they begin to think about what they've done over a 10- or 20-year career. That's why it's a good idea to start early, long before you will be looking for a new job. It is assumed by many that the role of a cover letter is to get an employer to want to read your resume. The idea behind this is that the letter should pique the interest of the employer and make him/her want to see what your resume reveals. In various other articles, we focus on detailing your accomplishments, as well as responsibilities. Here, we're going to tell you that you also need to self-edit a bit when it comes to tooting your own horn. While some people struggle to come up with even a few decent things to say about themselves, others have trouble whittling down the vast, excellent experience and accomplishments they've garnered over the years. It is worth it to whittle away, however, because there can be too much "good" on your resume. In addition to noting your accomplishments, it is also important to highlight transferable skills. Transferable skills are those skills that will be assets in your next position, even if your prior experience doesn't directly relate. Transferable skills allow people to move from industry to industry and to change careers completely. Preparing for an interview so that you can project the best first impression under any circumstances is just the first step in the process. Once you walk through the door, the journey is far from over. There is always the potential for something to be thrown by the wayside or forgotten by complete accident that could make or break your interview experience with an employer. For this reason, I have compiled a list of items one would need during an interview, be it an interview for a job at a store in the mall or at corporate headquarters in New York City. Interviews, in and of themselves, are almost as complicated and detail-oriented as the documents that get you them in the first place. Between questions of dress, conduct, question responses, and materials, there are so many ways a person can take a wrong turn on the path to employability. However, there are also more ways to drive that incredible first impression home than you may imagine.